Family or friends not on board? You're not ready! I don’t buy into this “hurry hurry, rush rush”, “me, me, me”, “me first”, “you do you”, or “just do it, and screw everybody else” mentality. Most often your family and friends are the ones that truly love and care about you. LISTEN TO THEM, not some idiot stranger on the internet who might have less than pure motives for rallying to your defense. I was just contacted by another one of many wannabe vandwellers, who was upset because their friends and family weren’t on board with their plans. Upon hearing their plans, it was obvious to me that their friends and family were right. Basically their plan was the same as I’ve heard dozens of times before… Move into a van to avoid any normal responsibility’s, and go enjoy life. Screw working, it’s time to play. That’s not reality, and no sane person is going to be on board with that. Life isn’t free, never has been, and never will be. For the average person, that means a job somewhere in the mix, and most decent jobs require some sort of skills. Forget social media, very few people make enough money to live on from that. Listen to your friends and family. Until you can get most of them or all of them on board, you’re either not ready, or you haven’t presented your plan well enough. If your plan is good and complete, and you have backup plans, almost everybody will support you. Listen to their doubts and fears, and don’t just shrug them off. Confront them head on and honestly answer how you are prepared to overcome those obstacles. If you can’t, you’re not ready. Money first, that’s probably the most important lesson in life. If that means a job until you can figure out a better way, then so be it. Money is the single most important thing in life that will improve your life and make everything else easier or even possible. Sure… You can live cheap, but you can’t live for free. What good is living cheap, or living in a van, if you don’t have enough money to actually enjoy your life? You need a plan to support yourself, to stay safe, to meet all your needs, an emergency fund, and at least one backup plan and the money to execute it. Without those as an absolute minimum, you’re not ready. Soup kitchens and food pantries aren’t a plan, neither is food stamps or welfare. You need to support yourself, and until you can, you’re not ready. I’m not trying to rain on anybody’s parade. I want you to be successful. Proper planning and preparations can help you succeed. There is no hurry, the road will always be there. Take your time and do it right the first time. Don’t spend a ton of money and time on a rig and converting it, until you have enough experience to know you like the lifestyle, and know what you truly want. #Vanlife isn’t what it’s hyped up to be by all the sales people trying to talk others into it. 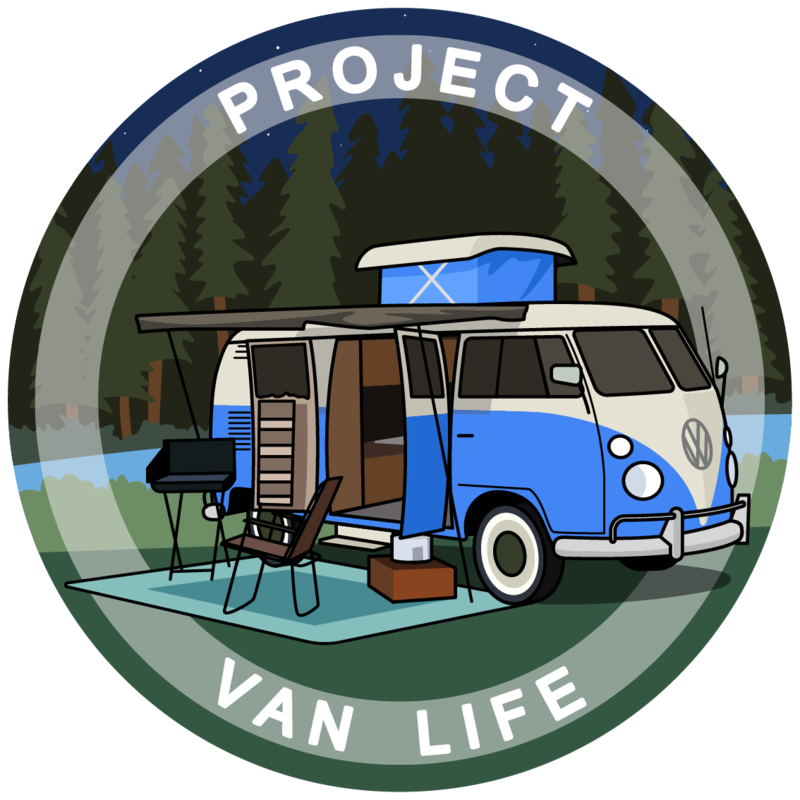 #Vanlife won’t magically solve all your problems, and more than likely will present you with a myriad of new and unexpected problems. #Vanlife isn’t for the weak, the meek, or the mild, unless you have plenty of money to support it. Many people report #Vanlife to be excruciatingly lonely. Are you prepared for extreme heat or cold, floods, hurricanes, tornadoes, earthquakes, landslides, washed out roads, etc. etc? Reality can be very harsh, and you’d better be prepared for it. Motor vehicles break down, even brand new ones, are you prepared, do you have backup plans and the money to execute them? What if you’re in the middle of nowhere, with no cell phone service, will you be prepared? These things happen often, are you prepared? You can’t count on anybody but yourself and your preparations, are you prepared? Do you know how to avoid these types of problems? In the real world, life isn’t free or easy for most of us. #Vanlife doesn’t change that, but being prepared can. Sage advice here! It’s all true. Once you are ready, you and your family will know. And then the adventure begins. It took my family almost a month to convince me that I was ready and could handle things. And off I went January 3rd from Cincinnati. I’ve been boondocking in Malibu California, right on the beach for the last week and it’s been glorious! I’ve been to the Women’s RTR, the Full RTR, spent several months carvaning with women from the RTR and had an awesome time with lots of cool adventures. And we all went our own ways the end of March. I haven’t even started a build yet. My rig is a 2003 Ford Super Duty Club Wagon with all the seats removed. Right now I have a cot, cooler, gas grill, gas stove, lots of clothes, many gallons of water, and the rest of my gear. Eventually I’ll start my build, for now however it’s awesome just the way it is and I have lots of room. Just yesterday I spent the day dealing with a dead (and I do mean dead) battery. I have a SPOT GEN3 for emergencies with a roadside assistance plan and they sent someone out to give me a jump. I drove over an hour to get to Walmart, and nope, battery was still dead, so I had to buy a new battery and swap it out with the dead one. Anyway, being prepared is so important!!! That said, when you are ready, and do get out here, oh the places you can go, as long as you can afford it. Do it right, and really enjoy it!